Big snapper are weary fish. They tend to drop the bait if they can feel any weight on the line. After all they didn’t get to be big snapper without being a cautious. The accepted fishing method is to allow the snapper to swim off with the bait; wait until he swallows it; then strike with the rod to set the hooks. It takes a bit of nerve for the fisherman to hold back for ten seconds or so before striking!The baitrunner is what every snapper angler needs. It has been made with what amounts to two separate drag settings which are applied via a small lever at the rear of the reel. The idea is to cast out your live or dead bait. 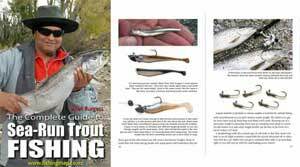 Then flick the lever for the very low drag setting which permits the snapper to carry off the bait unaware of what is going to happen next – but with just enough line tension so you can keep in touch. Then with the bait swallowed all you need do is either flick the lever, or wind the handle, and you have the fish on the line at your full drag setting. No need to muck around tightening the front of the spool upsetting your previously set perfect drag tension.This is another reel from Shimano that has stood the test of time well. It is very well made. 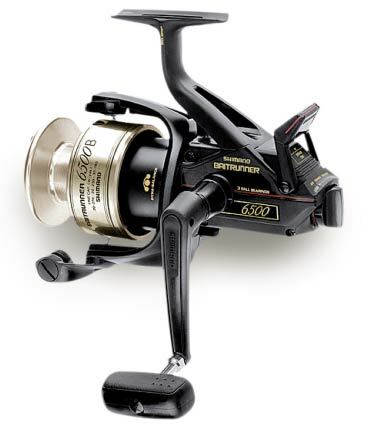 The body is strong yet lightweight graphite while the spools are aluminium and fitted with a handy line keeper clip. Other features include high quality anti rust bearings, water proof drag, stainless steel centre shaft, and four bearings (3 ball bearings and a roller bearing). Spool capacity is 270 yards of 20 lb mono.Shimano have just released a long cast shallow tapered spool version of the highly successful Baitrunner: the BIG BTR LC. This new model features 6 bearings and is slightly bigger holding 330 yards of 20 lb monofilament. This new model is said by Shimano to add considerable distance to your casts. It sounds like it could be just the thing for surfcasting as well.